In the coming August, a mall will be opened in Kozhikode district, Kerala exclusively and entirely for the women and run by the women. Through the ‘Mahila Mall,’ the Kozhikode Corporation in association with the District Kudumbashree Mission is opening the doors for women individually or in groups, who need a platform to launch themselves in the field of business. The ‘Mahila Mall’ will come up on Bank Road, in the heart of the city,on a 54-cent plot. The Kudumbashree Mahila Mall – that’s the full name – will have five floors spread over 36,000 sq ft, will house shops run by Kudumbasree members, individual woman entrepreneurs and women communities. All the staff too shall be women. The mall is expected to house a host of enterprises, like the supermarket, food court, kids park, spa, textiles, bank, spa etc. Conference rooms, training centres, and underground car parking facility etc will also be available. The Kudumbasree Bazaar will be a permanent outlet for Kudumbasree projects, that shall be set up on the mall’s premises in its second phase. 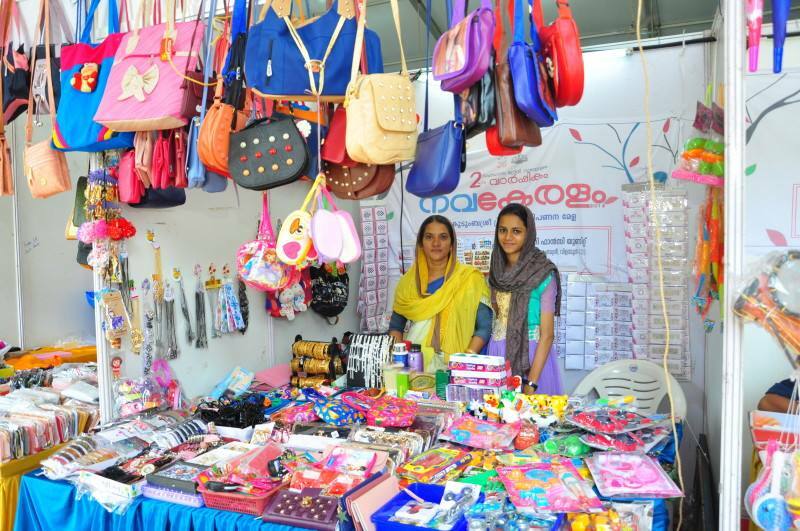 As of now, Kudumbasree members sell their products at fairs during festival days.